Ha Noi, the capital of Vietnam, is famous for its historical sites, the Thousand-year tradition, and the renowned Old 36 streets of merchants. 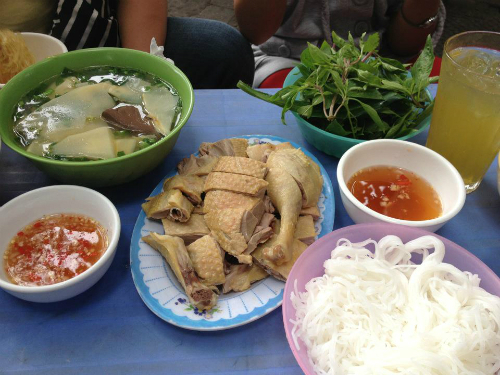 However, Hanoi also has an extensive culinary culture that you don’t want to miss. 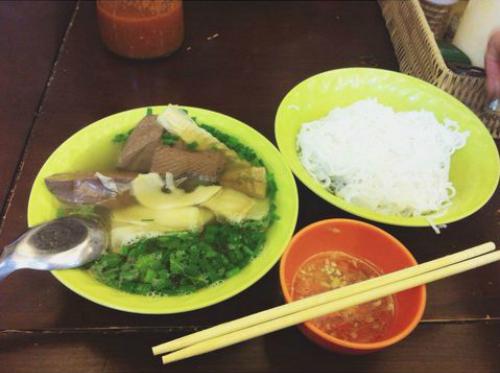 One of the most famous dishes in Hanoi is cellophane noodles. 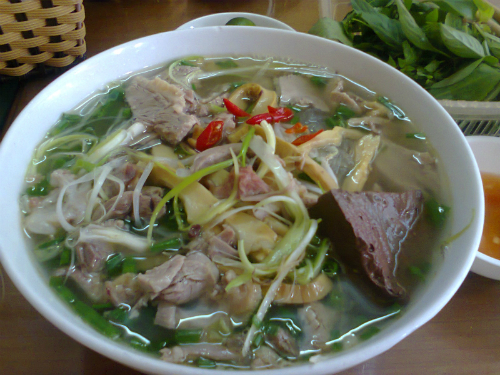 Cellophane noodles are a type of transparent noodle made from starch, and water. They are generally sold in dried form, boiled to reconstitute, then used in soups, stir fried dishes, or spring rolls. Here are some addresses that are passed by those who love cellophane noodles. Facing the Cau Giay Street, this small noodle shop has the best cellophane in town. There are only three places to park your motorcycle: in front, or two other parking lot in the back. The menu consists 4 to 5 types of noodles such as vermicelli noodles (30K), vermicelli noodles in soup (35K)… The best part of the Ngan cellophane noodle is the Ngan meat, which is juicy and sweet, the crunchy bamboo shoots, and the tasty broth. The shop opens all day so you can visit it anytime. Facing Hai Ba Trung Street, the noodle shop has an extensive interior, which can hold many customers at a time. The menu is also diverse with many type of noodles: soup noodle, dipping noodle, Ngan meat, hot boiled-blood, Ngan’s blood… The special ingredients that attract the customers are the natural sweet broth and the juicy Ngan meat. A bowl of Ngan noodle is about 30K and a bowl of boiled blood is about 25K. The shop opens until 10pm. During the rush hours, you might have to wait a little. Being a small noodle shop that has the capacity for about 20 people, both inside the shop and on the sidewalk, Phung Hung Noodle shop is located in the middle of the Old town, and the price is also very good. The shop is very small, so during the rush hours, if not hurry, there won’t be any place to sit. In this shop, the Ngan meat is cut and put into a separate dish. The meat is juicy and flavorful thanks to the extensive special ingredients. The bamboo shoots soup is sweet and to eat everything with a dish of fresh vegetable is perfect.